The "SUPER JUNIOR BURGER" is very popular! We decided the Second edition planning on March 16th. 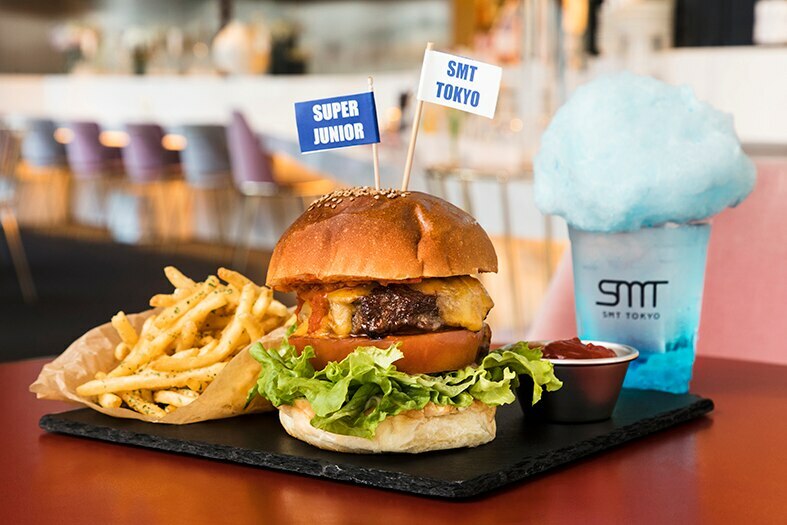 SMT TOKYO revivals "SUPER JUNIOR BURGER" from March 2 for limited period. SUPER JUNIOR BURGER is expressed the taste that the members of SUPER JUNIOR, the artists, like. It started to sell only for one month on November, 2018, and all burgers were sold out by reservation.This time, pay attention to the drink as well. The blue of the artists color has developed an original cocktail was based. The taste of the burger has been brushed up with proprietary and popular kimchi & gochujang sauce. Putty is purely 100% beef. Following the first phase of Yeson, second edition is, Ryeowook to release his first solo single on March 20. It will also held special Live than on the same day, please come and visit us also in SMT TOKYO when they are going to Live. The very popular SJ burger is provided only 20 pieces per day. 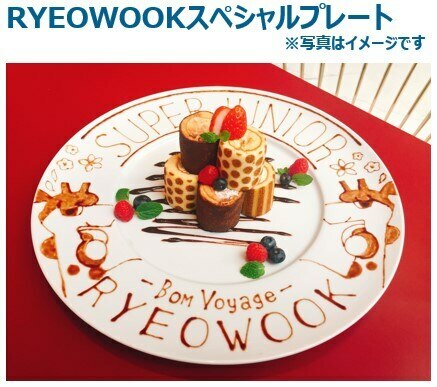 Also, a dessert plate only seen in Ryeowook event can be reserved with priority. Those who will eat it can join the "Where's Ryeowook!" event and will be given an original gift and a lot of other exciting events will be held. 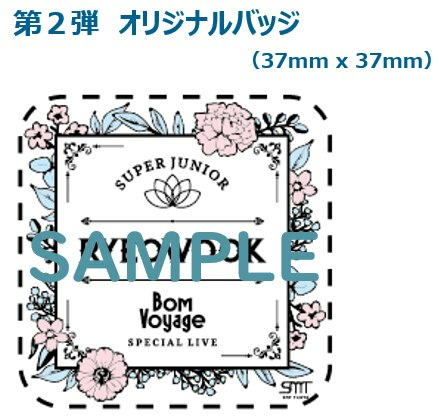 Limited edition of RYOEWOOK special plate with original postcard prepare also, so don't miss it. The third volume of the event is in under planning too. 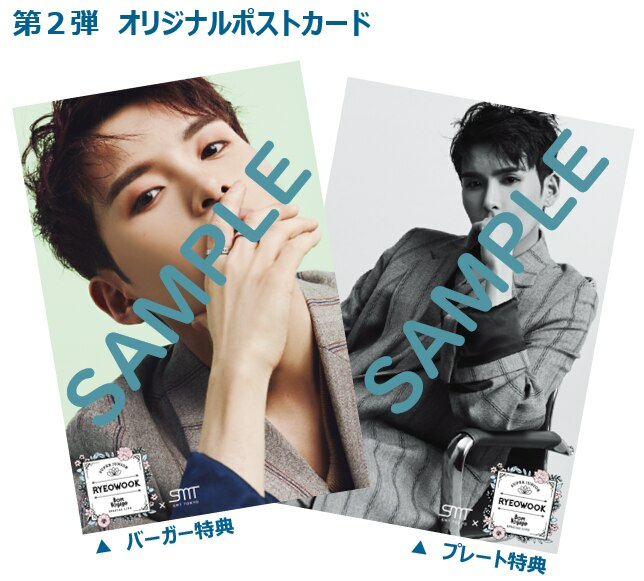 ※RYEOWOOK special plate is available until March 31, 2019. Post on SNS with the specified hash tag with your order of the collaboration menu during the period and be one of the 5 lucky winners to get the special gift 【Goods with RYEOWOOK's autograph】! Also find RYEOWOOK (facial picture) hidden in the store and post on SNS to get an original badge, too! ※Present the SNS you posted at the time of payment. The event application ticket will be provided. ※There is a limitation in original badge, please challenge it as soon as possible.